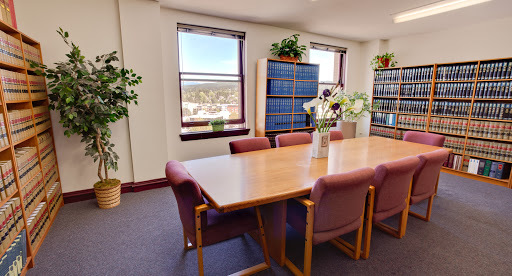 After graduating from the University of Puget Sound Law School (now Seattle University Law School) in 1979, Michael Tario opened the prominent Bellingham law firm Tario & Associates, P.S. ; followed by the Mount Vernon office in 1988. The firm serves clients in Whatcom County, Skagit County, Snohomish County and Island County. Tario & Associates, P.S. has a solid reputation for honesty, keeping clients informed through the process and working hard on behalf of its clients. Over the years, medical malpractice and personal injury attorneys at the firm have helped thousands of injured parties and grieving loved ones receive fair compensation and just treatment for their injuries and loss. Tario has negotiated well over 2,500 favorable out-of-court settlements, but where settlement was not possible, he has taken hundreds of cases to trial; fighting hard to protect the rights and interests of his clients. Tario & Associates, P.S. has the resources, experience and knowledge necessary to represent its clients. Their network of well-regarded specialists in medicine, accident reconstruction, psychology and engineering serve as invaluable resources when determining liability and calculating the extent and costs related to your serious injury. With the Tario & Associates, P.S. personal injury law team on your side; you will have the experience and knowledge you need to recover appropriate damages for your injury and regain peace of mind.